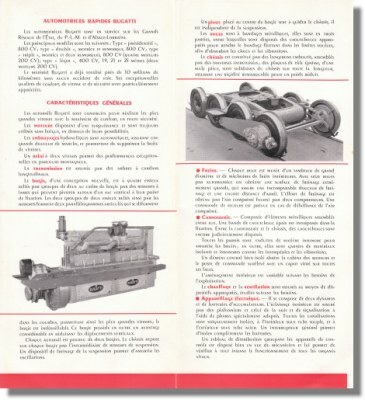 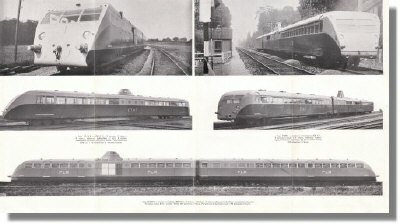 1937 Bugatti Automotrice / Autorail / Railcar Brochure. 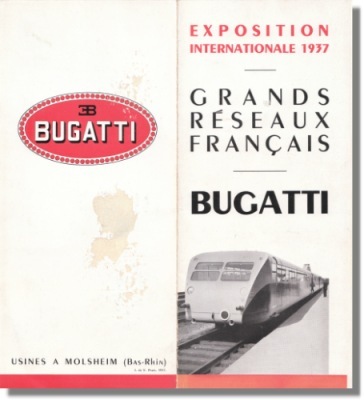 This is a vintage 1937 publicity leaflet for the Ettore Bugatti designed & build Railway Car as shown at the 1937 Exposition Internationale. 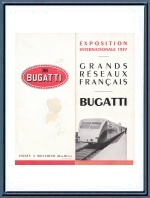 Excellent condition bar a "chip" on the back (visible in the photo, under the Bugatti logo).